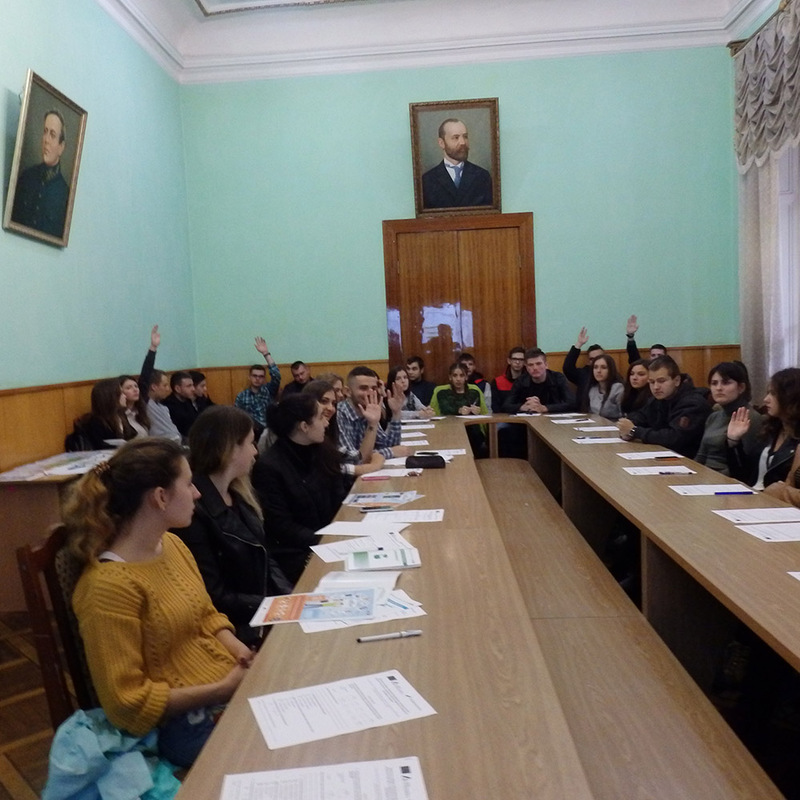 Chief Specialist of Public Relations and Media UDMS in Chernivtsi region Marina Martynyuk participated in a public seminar "Journey responsibility" held with the support of NGO "Europe without Barriers" in conjunction with BW "CF" ProOsvita "PO" quadrivium "At the Faculty of History, Political Science and International Relations, ChNU them. Yu Fedkovich. The representative of the Migration Service told about the work of the Office in terms of visa-order passport of citizen of Ukraine for traveling abroad, working most popular services at the SMS Ukraine - "electronic turn", "Checking the passport", "Reception of electronic appeals", " Payment details »etc. Discussion heard seemed lively: students are actively interested in the cost of services for registration of passport, the passport production order, action in case of delay clearance CL others. All questions were answered to the participants of the seminar.